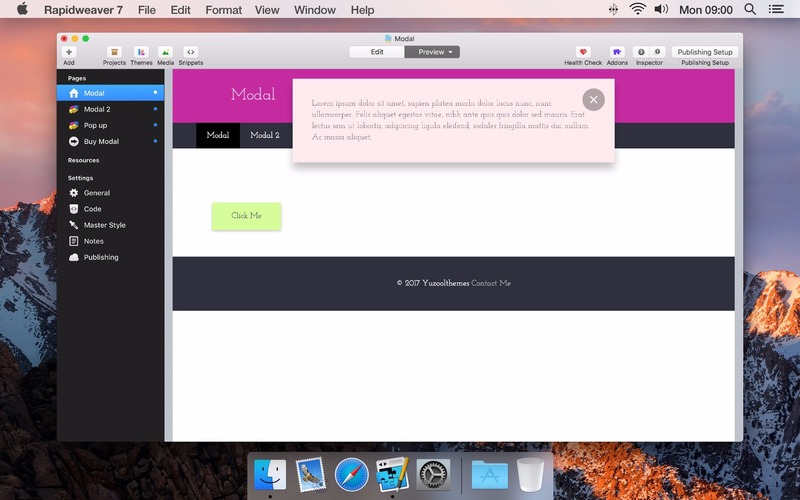 Simple modal pop ups for RapidWeaver. 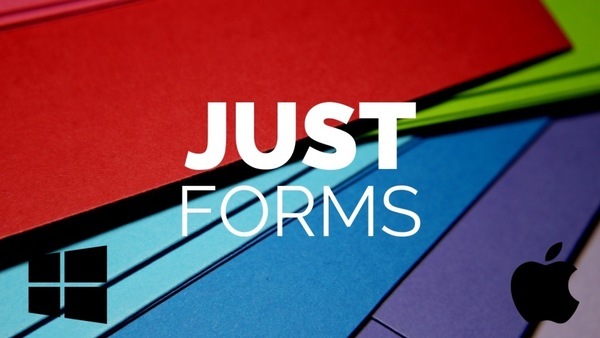 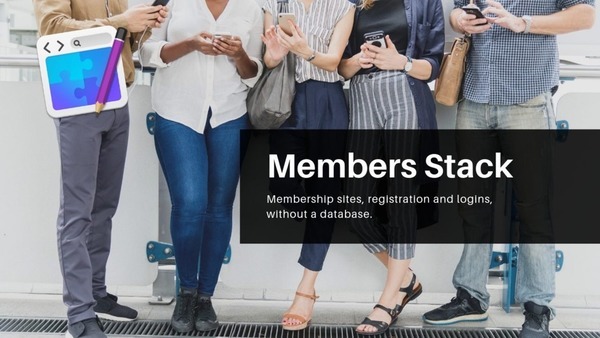 Highlight sign up forms, important messages and your special offers. 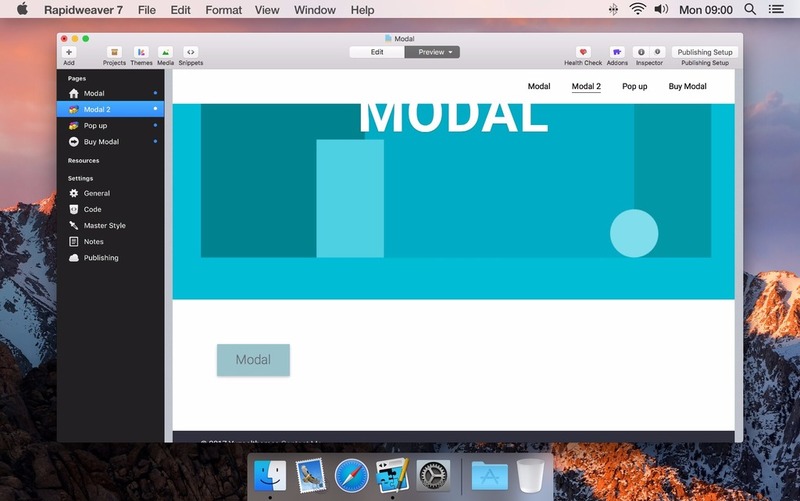 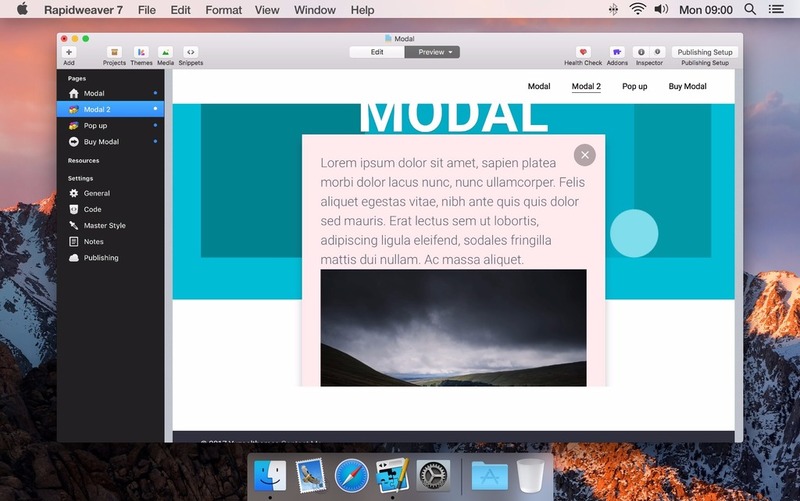 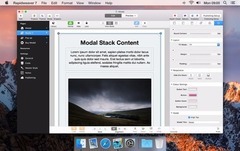 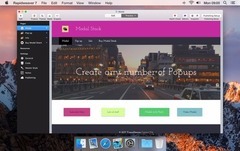 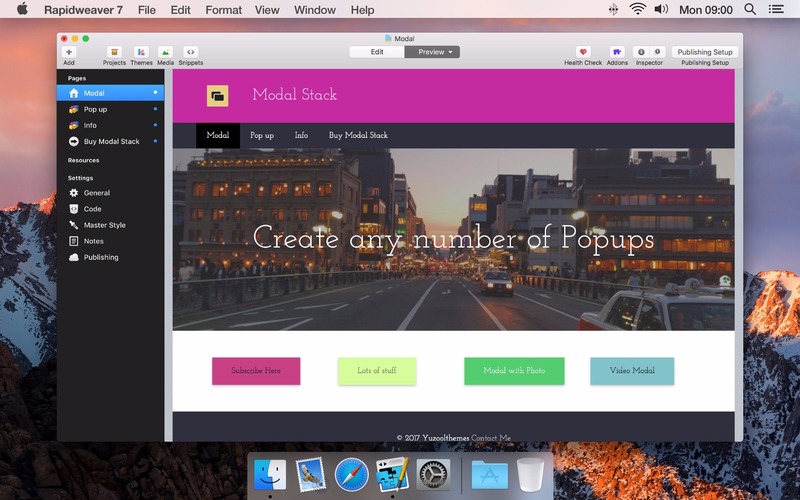 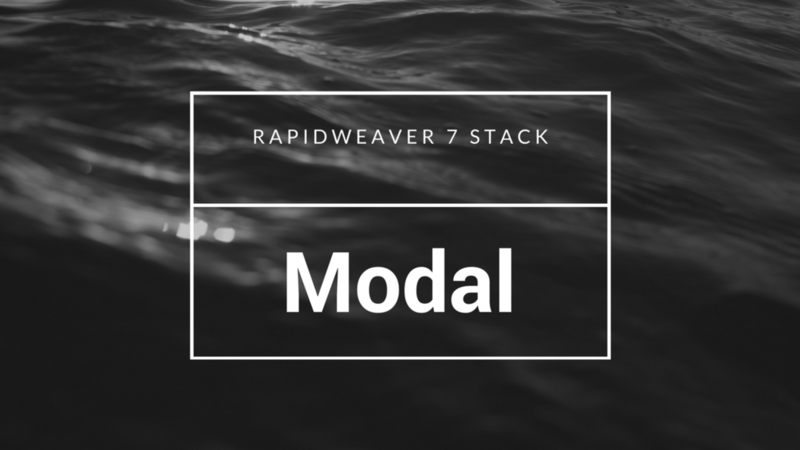 Modal Stack is a quick to use modal popup Stack for RapidWeaver. Create and style buttons that when clicked reveal more content such as text, images, video and any other Stacks. 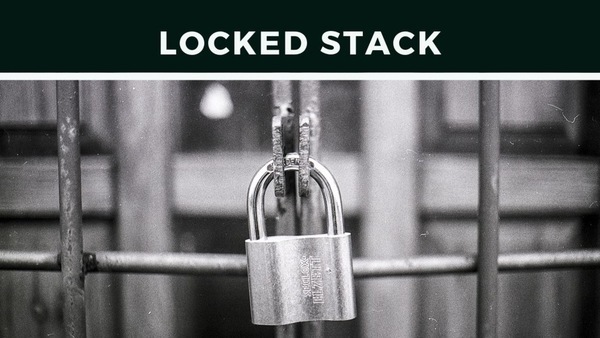 There's also a bonus Modal Stack included which pops up after a few seconds to really highlight the offer you want to show visitors.